Serious Games Source reported yesterday that playing the classic puzzler Tetris increased gray matter in the brains of test subjects due to the game's complex cognitive requirements, according to researchers from Mind Research Network. 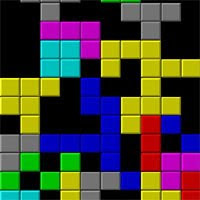 Albuquerque, N.M.-based Mind Research Network said over the course of three months it tracked adolescent girls who practiced playing Tetris. Compared to control subjects, these girls exhibited greater brain efficiency and a thicker cortex, as evidenced by brain scans. Tetris study co-investigators explain that they did the Tetris study to see if mental practice increased cortical thickness, a sign of more gray matter. If it did, it could be an explanation for why previous studies have shown that mental practice increases brain efficiency. More gray matter in an area could mean that the area would not need to work as hard during Tetris play. 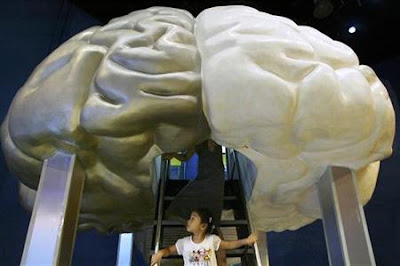 Areas of the brain that showed thicker cortex were sections believed to play a role in "planning of complex, coordinated movements," researchers said, and areas responsible for "coordination of visual, tactile, auditory, and internal physiological information." Other parts of the brain, which are associated with "critical thinking, reasoning, and language and processing," also showed greater efficiency after practicing Tetris. The increasing relevance of the Brain Fitness Software Market can be tracked over the 150-page report "The State of the Brain Fitness Software Market 2009", by Alvaro Fernandez from SharpBrains. Among other hard evidences, the report highlights that specific computerized cognitive training and videogames have shown to improve brain functions (please find also Serious Games & SharpBrains Creating Global Awareness For Brain Fitness). 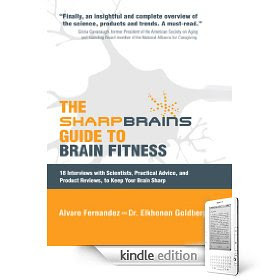 SharpBrains have recently published the SharpBrains Guide To Brain Fitness, that is the result of over two years of extensive research including more than a hundred interviews with scientists, professionals and consumers, and a deep review of the scientific literature, led by neuropsychologist Elkhonon Goldberg and Alvaro Fernandez, with the help of cognitive scientist Pascale Michelon. The SharpBrains Guide to Brain Fitness is an invaluable guide that helps readers navigate growing brain research and identify the lifestyle factors and products that contribute to brain fitness.